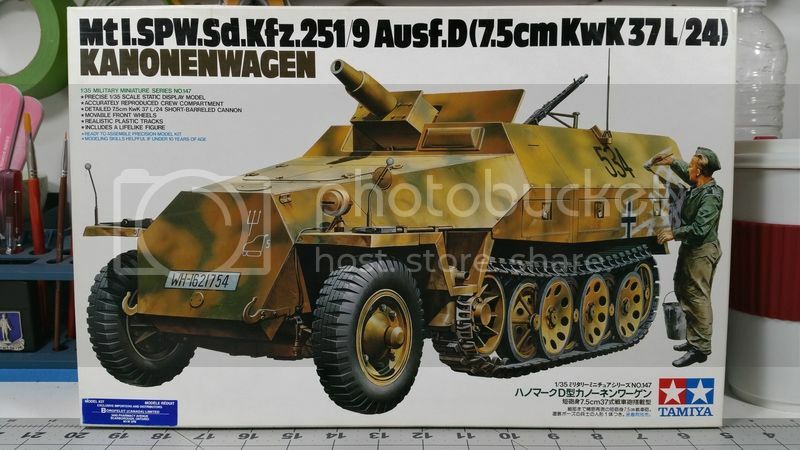 For my next project I will be tackling a subject I have never done before… a German halftrack. 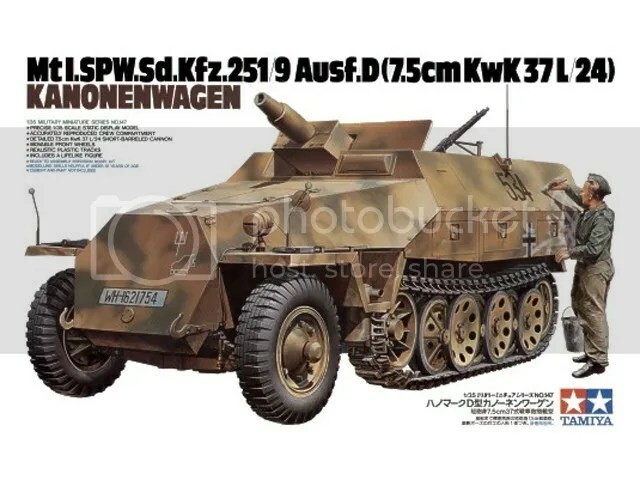 The kit I have chosen is the Tamiya Sdkfz 251/9. 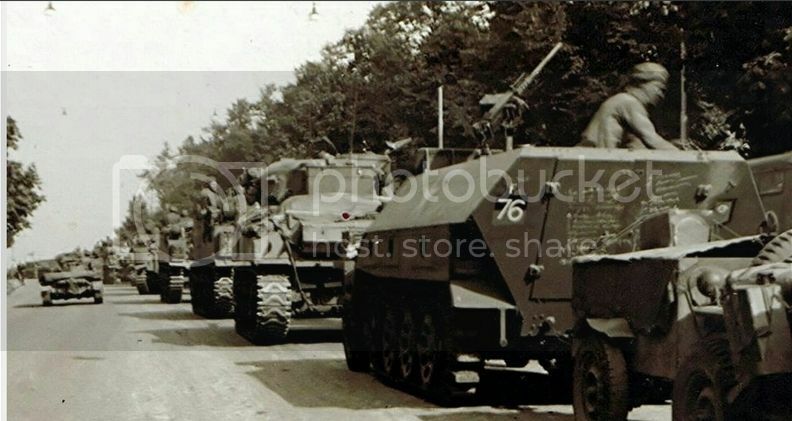 It is the same vehicle pictured above, captured by the British and used by them during action in the Netherlands. This photo piqued my interest. 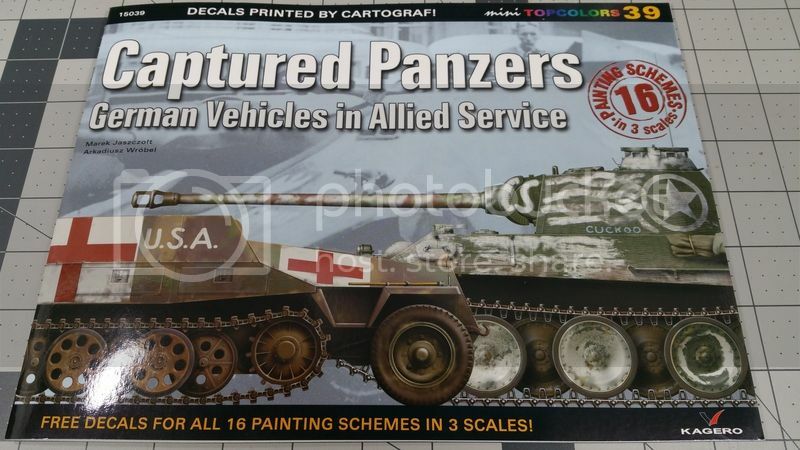 While looking for info on the unit markings, I found out that a booklet and decal set is available pertaining to this and other vehicles captured by the allies during WWII. I did a quick search online and found it. 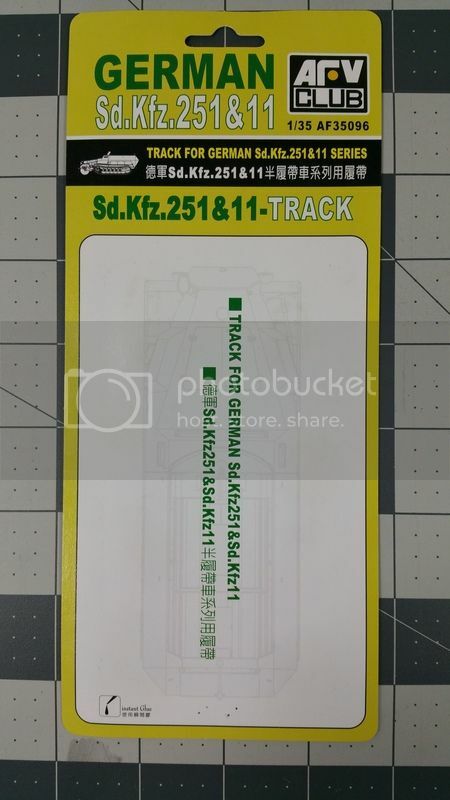 After inspecting the kit contents, I opted to order some aftermarket tracks since the kit tracks are very basic, with no detail on the inner portion that contacts the road wheels. At the suggestion of a few modelers on a Google+ group I am a member of, I ordered a set of the single strip type for the Sdkfz 251 series manufactured by AFV Club. So, that is the kit and extras. Next time… assembly begins. … and it is time for an update. Last post saw the completion of the Academy Sherman M4A3 with T-34 Calliope. It was a fun kit, especially with the self inflicted update challenges I did. The end result came out better than expected. 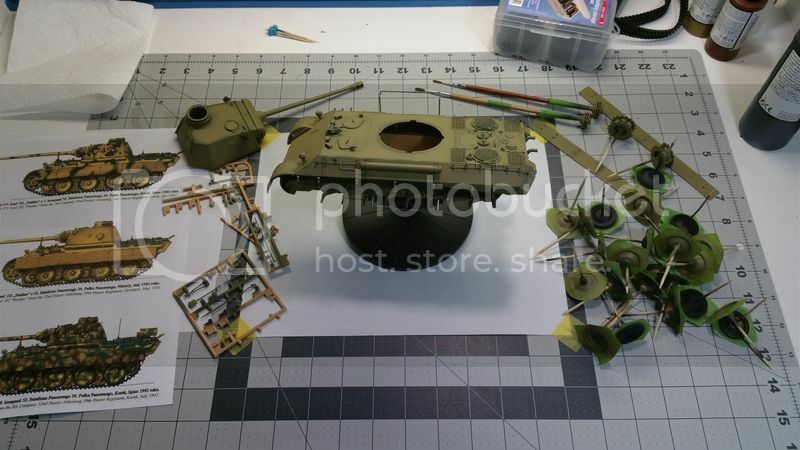 My current project is the Dragon 1/35 scale M7 Priest, Early Production. Most of the construction is complete, and it has been great so far. 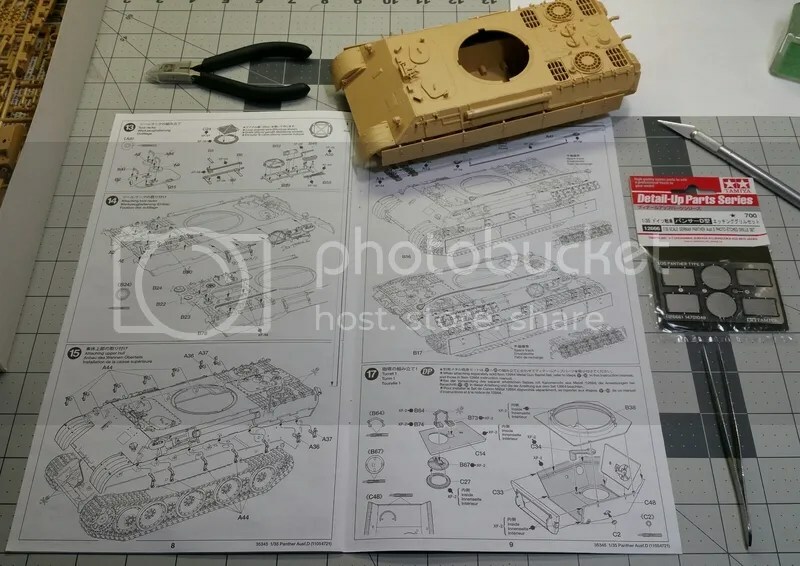 Construction is a bit different than the Tamiya and Academy kits I am used to, but with a bit of simple planning and care, it isn’t anything that can’t be overcome pretty easily. Look for a post soon discussing the construction soon. 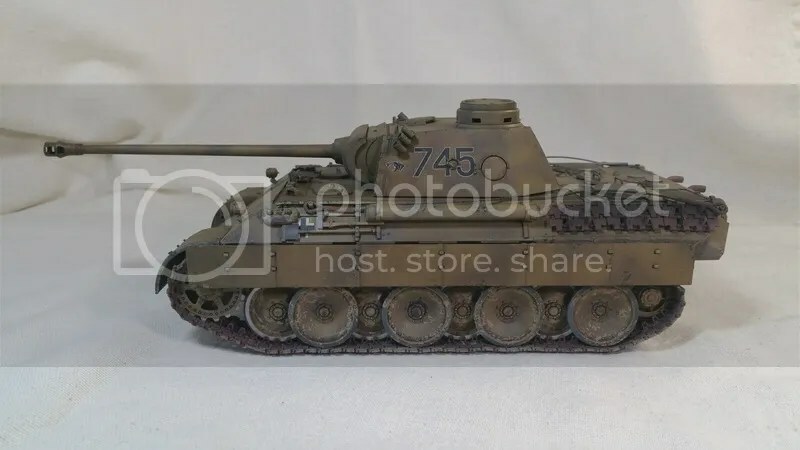 After I wrap up the M7, I will be starting the Tamiya 1/35 Sdffz 251/9. I will building this one pretty much out of the box as far as construction goes, but the paint will be different. 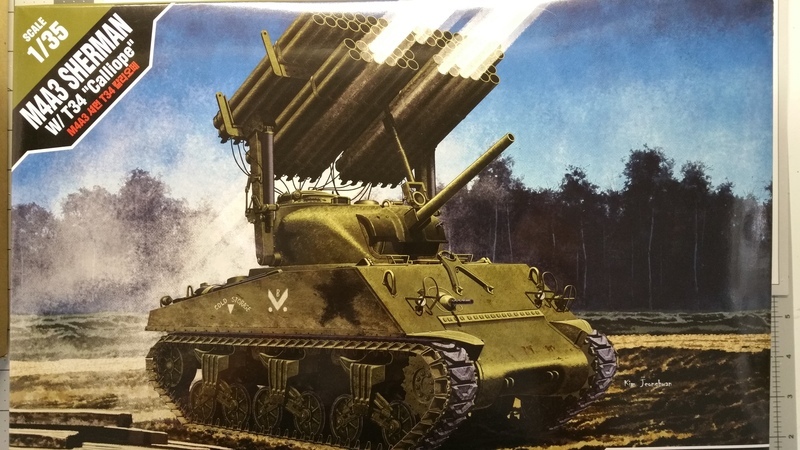 I will be painting this one to replicate a vehicle captured by the British during Operation Market Garden. I have a decent photo to work off of and a decal set for this particular vehicle. Again, a post will be coming up about this one. 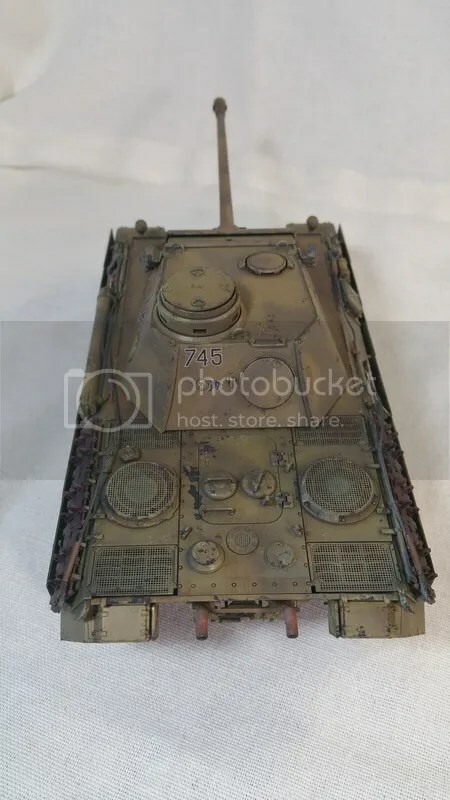 The only other kit I have waiting, is the new tool Tamiya 1/35 M10 Tank Destroyer. I have a photo to work off of for this one as well. It will be portraying a tank destroyer supporting the 76th Infantry Division during their push across Germany. Many, many posts ago, I mentioned Shepard Paine as one of my early influences in modeling. Recently, a new book, Shep Paine’s Armor Modelers Guide, was released. I have yet to get it (I’ll probably order when I am done here!) but it got me thinking about those years long ago, perusing Shep’s Tips For Building Dioramas from the old Monogram kits. I always admired his work, and as I have gotten older, I appreciate it more, knowing now what kind of deadlines he had and the primitive models he had to work with. Back then, I could only dream of turning out finished models like he did. Now however, I think my skills have improved enough that I could almost pull off some of the things he did. Notice I say almost… So, I have started to get the urge to finally try to duplicate what Shep did. My first and favorite introduction to his work was the Monogram Sherman Hedge Hog. He did some simple scratch built modifications, and made a really nicely done diorama depicting a Sherman plowing through a hedgerow supported by infantry during the fighting in Normandy. So, I will have to start looking for one of the old kits with the diorama sheet in it, so I can give it a try. I’ll post updates on this one as they develop. And… that is it for this time. Stay tuned for further stuff soon, and if you aren’t building models, give it shot. If you are, keep it up and have fun! I had good intentions with this kit and writing a build log. Really, I did. 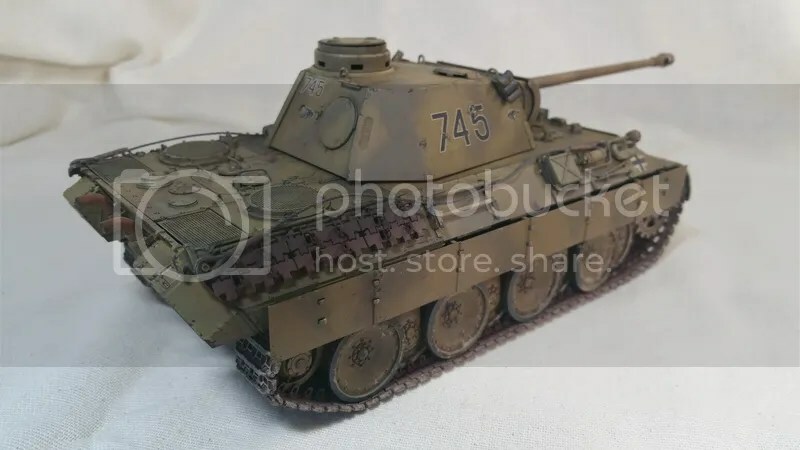 But, I just counted the photos and realized that over 100 photos with commentary is a bit much, so I will give a few comments and then post pics of the finished model. First of all, I want to mention that this is my second Academy kit. The kit overall is pretty nice. There are a few detail things that are not to my liking, but easily fixed. Engine hatch grab handles come to mind. 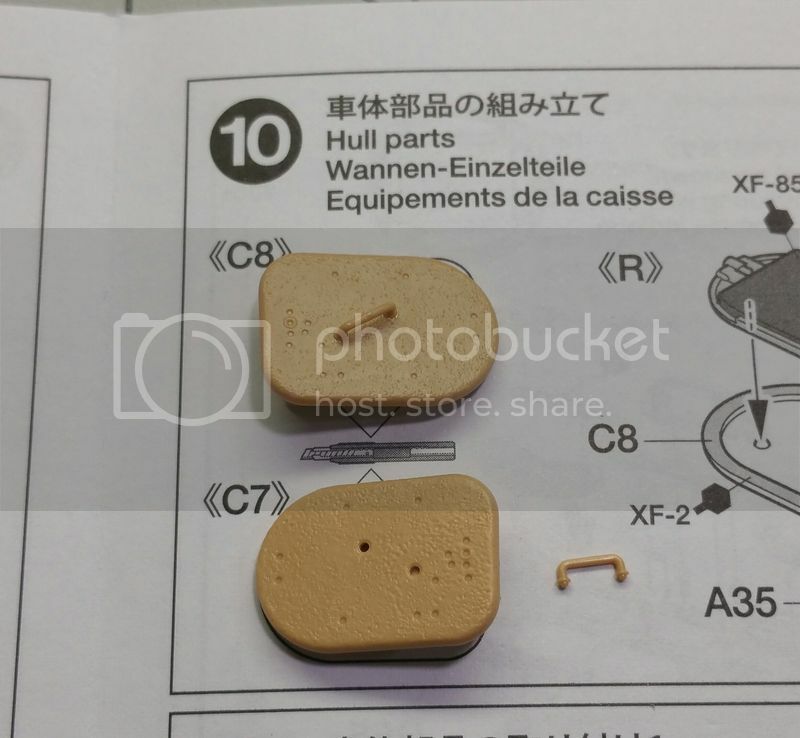 The ones on the kit are the solid, molded on type, and those were easily shaved off and replaced with some of the extra handles that come with the kit. 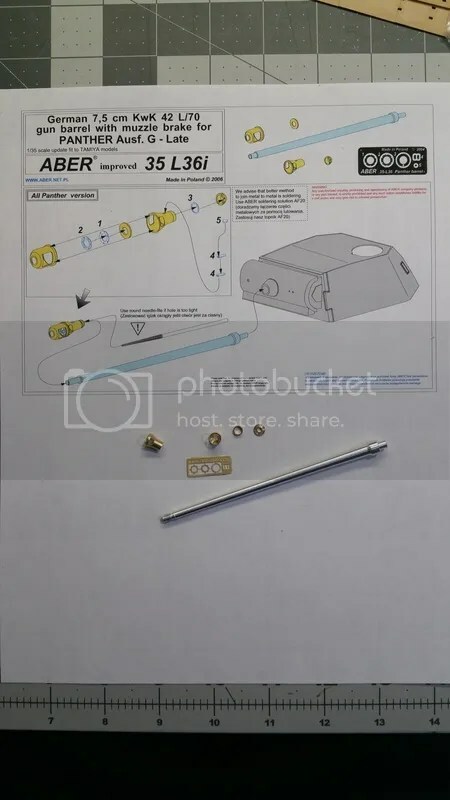 Fit is generally good with some not-too-difficult modifications to the rocket tubes to get everything to come together smoothly. I built the kit mostly from the box, but added wiring to the rocket launcher assembly, and reworked the springs on the rocket launcher mounts to look a little better. I also replaced the kit tracks. 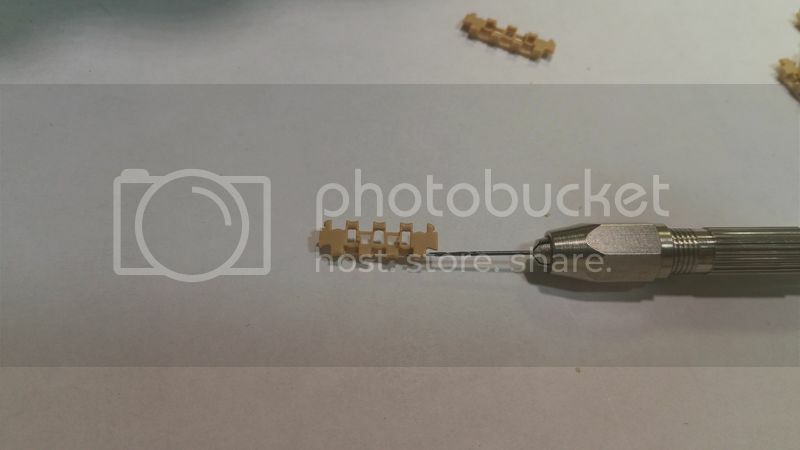 The ones in the kit are the rubber chevron type with extended end connectors, usually referred to as duckbill end connectors. The vehicle I was building had the steel chevron tracks, so I opted to go after market. The brand I chose was Kaizen. I have messed with Kaizen tracks once before and really liked them, so I thought I would give them a try again. They are much cheaper than the metal tracks that are available and seem to be better quality than some of the other brands. The one snag I ran into was that the drive sprockets were too narrow for the tracks. So, I had to cut the sprocket apart and add a spacer to make it wider. For my next review, I will cut back on the photos and be a little more general, with emphasis on modifications or fit issues. Just wanted to drop a quick post to let you know that I am not MIA, or off on safari. 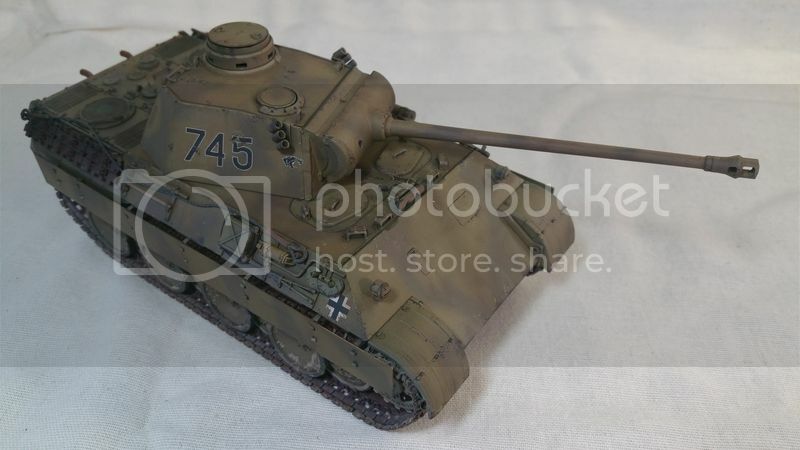 I have been working on my latest project, the Academy M4A3 Sherman with T-34 Calliope, in 1/35 scale. 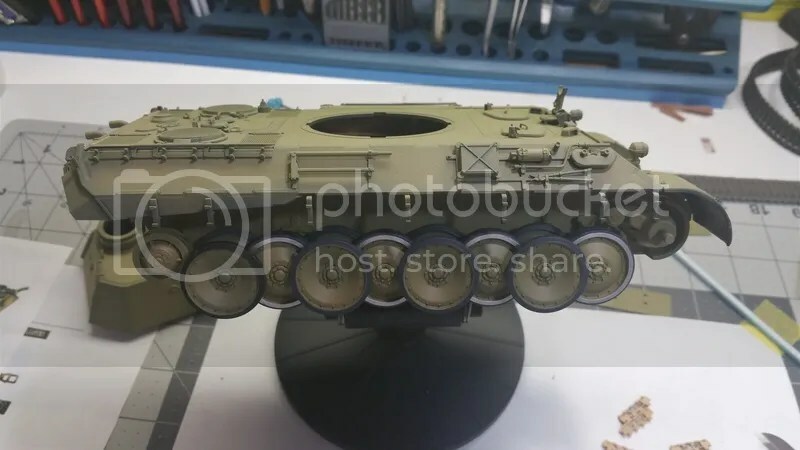 I am foregoing my usual multi-part build format on this one and am going to do one, big whopping post on the whole thing and see how it works. 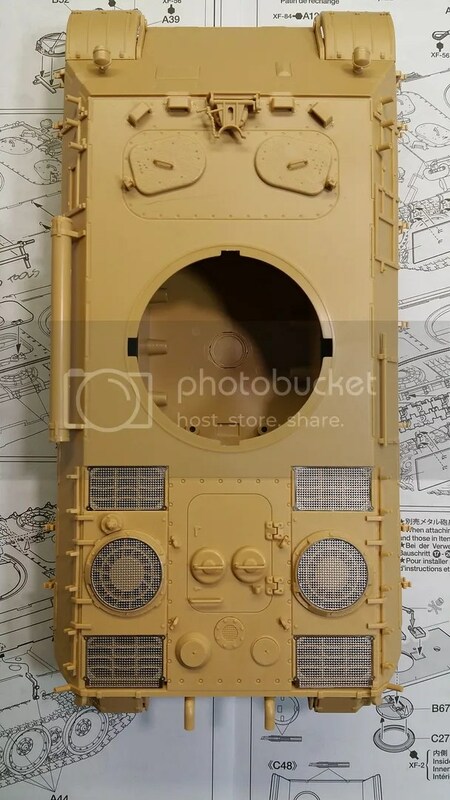 I am going to try this format for builds so I can do some blogs about other stuff as well: other military related stuff that ties in with modeling; previews of upcoming reviews and builds; techniques and products…. kind of what I intended for this blog from the start. Stay tuned for more upcoming stuff, and let me know what you think of the new plan in the comment section. 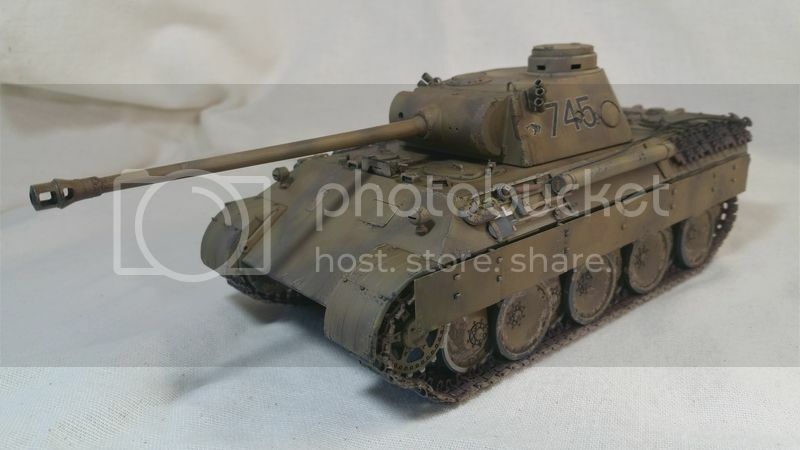 Tamiya 1/35 Panther Ausf D… Completed! 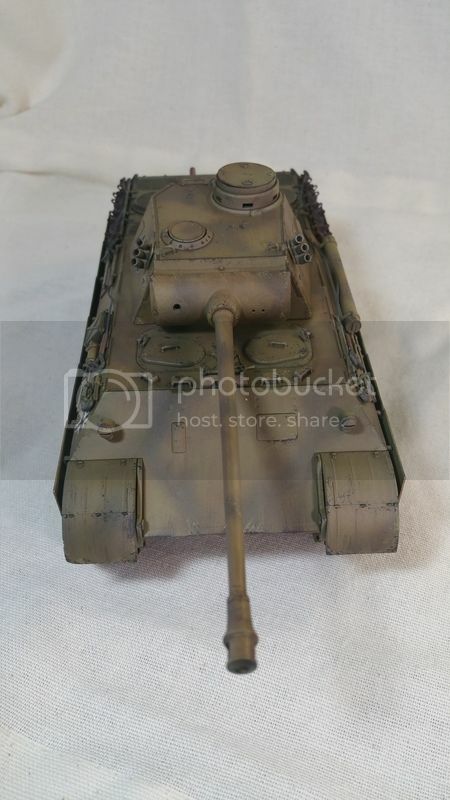 At long last, the Panther is finished. As for my thoughts on the kit, I would say that if you like armor kits, this is a great one to add to the collection. Being a new-tool kit, the quality is outstanding. Molding is superb with very little to clean up. The detail is very nice without having an outrageously high parts count. The fit is excellent. 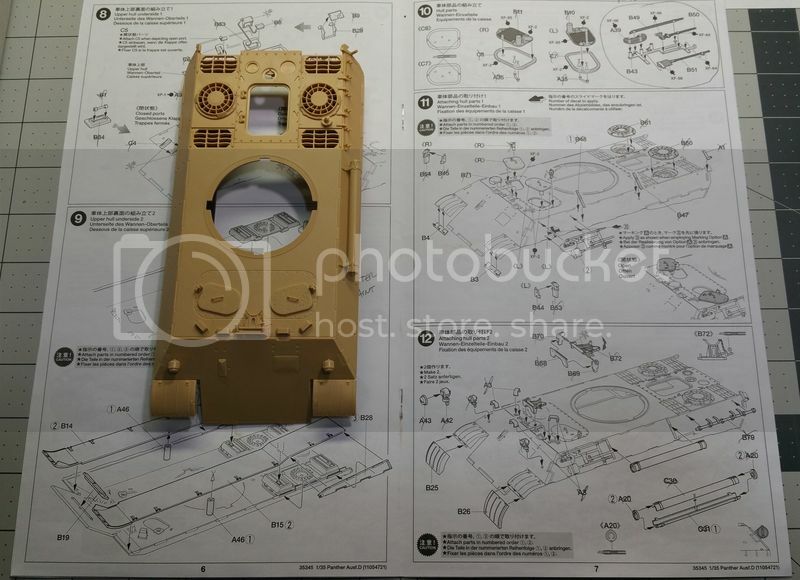 As noted in earlier posts, the only items I used that didn’t come in the box, were the grill set for the engine deck and tracks, both made by Tamiya specifically for this kit, and an aluminum barrel. So, without further adieu, here are some photos of the Panther Ausf D.
And here is a link to my video. 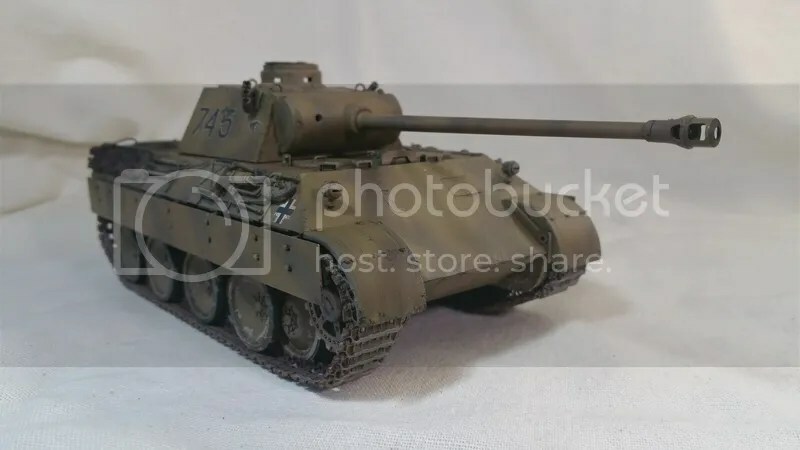 Today I will post up the last construction update on the Panther project before I post the final, completed project. Now, oddly enough, I didn’t take any photos of the turret construction. Suffice it to say, the turret went together just fine and the only thing I did different was to use an aftermarket barrel. the kit barrel is actually quite nice since it is a slide molded affair, but my friend and co-buddy builder, Steve Mottram, took it upon himself to send me a very nice Aber aluminum barrel. The Aber barrel is extremely nice and the muzzle is much better than the kit supplied item. The only modification I had to make fot the barrel to fit, was to bore out the mantlet slightly to fit the barrel. After I got the turret completed I primed the kit with Vallejo Black primer, then sprayed a base color of Model Master Acryl Dunkelgelb. In the left of this photo, you can see a sheet with color schemes. This is not the one that came with the kit. 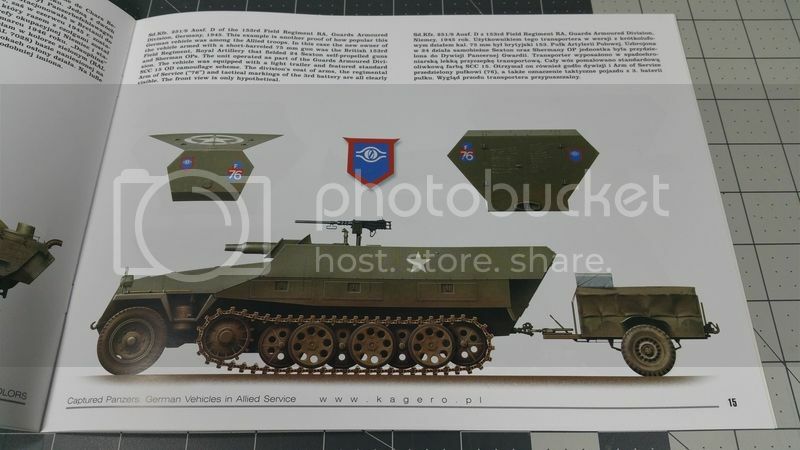 According to the Tamiya color call out sheet all three of the vehicles that can be built with the supplied markings, all three should be the tri-color camouflage. After a bit of additional research, the only color scheme that I could find, including the specific vehicle I am modeling, was the two-color scheme of dark yellow/and olive green. This would be the vehicle at the top of the page in the photo; vehicle 745 during the Kursk fighting. So, I decided to go with the two-color, since there are multiple references to this color. While the paint was drying, I drilled out the pin holes on the spare track links. Then I finished up the wheels with bare metal wear on the inner pairs of road wheels. After that, I painted the camo pattern, painted and weathered the tracks, then moved on to decals, weathering and final assembly. Next time…. 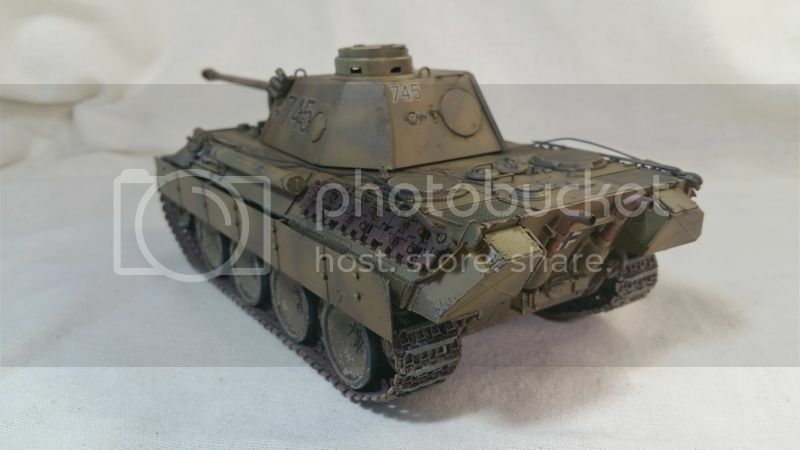 the finished Panther. Last time we left off with the completion of the lower part of the lower hull. Today, it is on to the upper part. I continued with the assembly of the rest of the upper hull parts with no problems. Everything is molded quite nicely. The spare antenna tube, although molded in four pieces (two tube halves, and two end caps) went together with no problems. I light sanding of the two halves erased the very faint seam line. The attachment moldings are very nice and crisp. In step 10 I attached the tool bracket, but not the tools. I add those after painting has begun. This concluded steps 9 through 12. Steps 13 though 16 conclude assembly of the hull. I attached the tool bracket without tools on this side of the vehicle as well. I also did not install the wheels or tracks yet and the side skirts are removable. In this step I added the photo etch grills. These fit perfectly and were easy to remove from the fret and de-burr. Here is a photo of the completed hull. All went well, with no surprises.